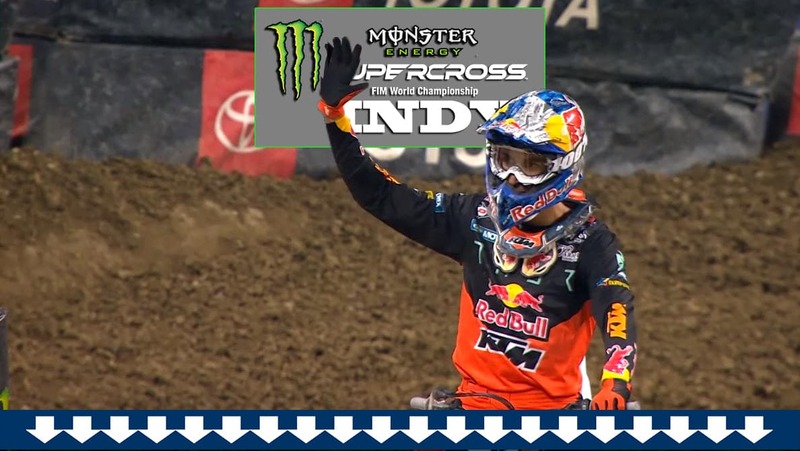 Red Bull KTM’s Marvin Musquin finally got his first win of the 2019 Supercross season and moved into sole possession of second place in the standings at the Indy Supercross. He led the main event from start to finish, while Blake Baggett and Eli Tomac followed closely. Points leader Cooper Webb put in a charge that would take him past Eli Tomac, but some sketchy moments caused him to back off in the late laps. In the end, it was a KTM podium spweep with Musquin, Baggett and Webb on top. For more from Indy, click here.